Dimensions: height 72cm, length 72cm, depth 72cm, weight 7kg. Available colors: white, silver grey, beige, orange. 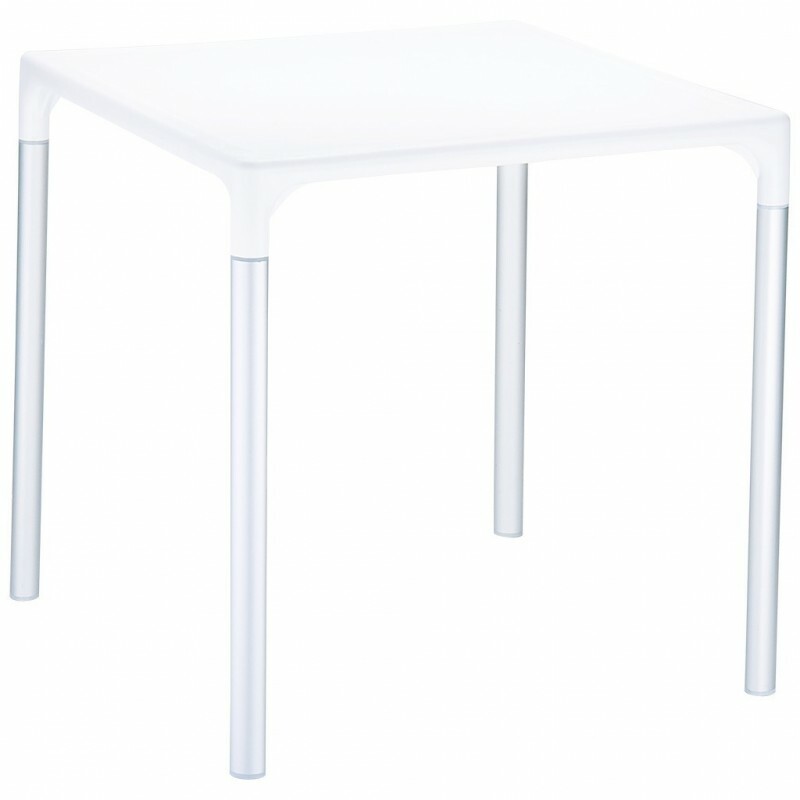 Mango Alu is a practical stackable square table with a minimalist but elegant design. Suitable for any use, internal or external, Mango is built with polypropylene top thanks to the innovative latest generation thermoplastic injection air molding and anodized aluminum legs. Designed to resist weathering, removable legs. Also available the Mango model entirely in polypropylene, visible below in related products.